Prominent UK Muslim Asim Qureshi spoke with Jon Snow today about Mohammaed Emwazi after he was named as the Islamic State ‘executioner’ Jihadi John. Qureshi says Jihad John was a “beautiful man” who wouldn’t hurt a fly. Jihad John lived in a prominent neighborhood and went to an elite school. But, according to his defenders, British security officials drove him to become an ISIS beheader. Qureshi also blamed the British security services for his radicalization. The Brits drove him to behead innocent Westerners. 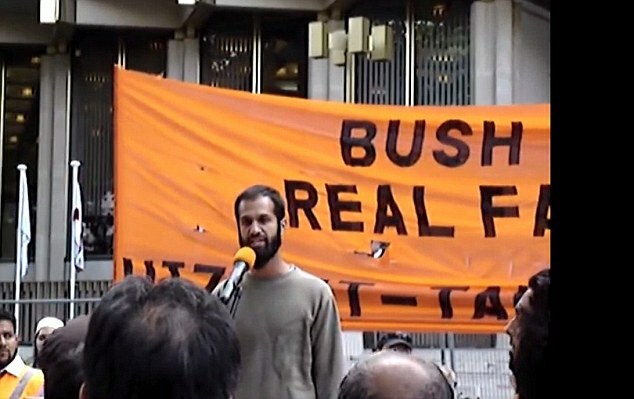 Asim Qureshi was filmed calling for jihad outside the US Embassy in 2006.